Was super excited when I first learned about the opening of Tang Tea House at Jalan Kayu from my Facebook feed! Thanks Kassidy for the post! 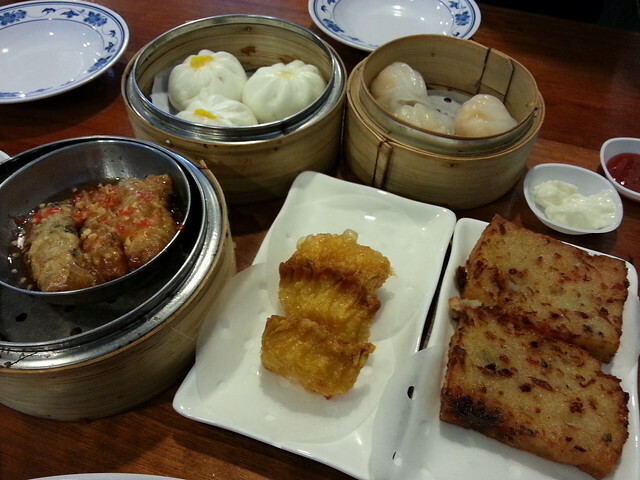 :P Now we can finally satisfy my weird once-in-a-blue-moon dim sum craving near our house and in comfort of air con cafe! We used to have to drive to Bedok area to get decent Halal Dim Sum, now its just a 5 mins drive from our place. Run by the same people from the Bedok branch, Tang Tea House has got pretty decent Dim Sum to satisfy those cravings. And the best part is they have my favorite Golden Sand Pau! 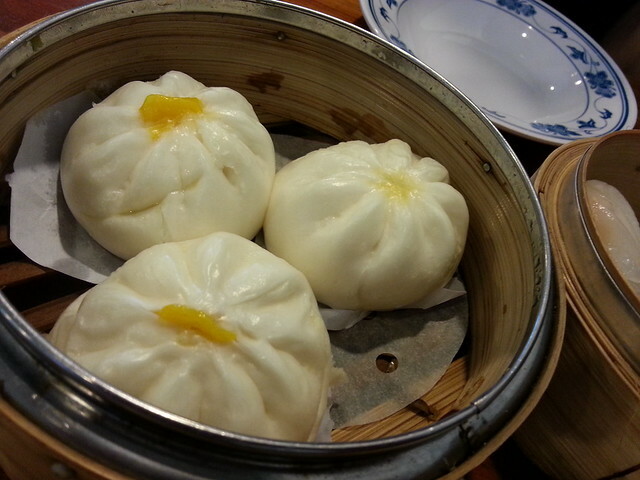 If you don’t know what Golden Sand Pau is, you must sooo sooo go try it! 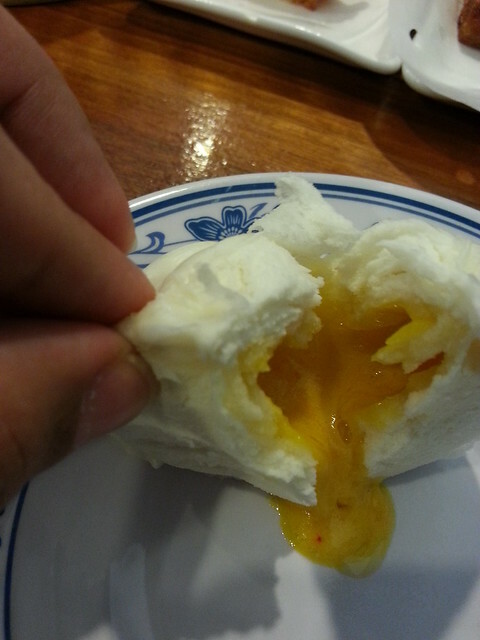 Imagine steaming hot custard with salted egg york oozing out from soft pau! *slurps! * This must be eaten immediately when served; leave it to cool even a little and it won’t taste as good. 3 pieces of these Pau cost $4.00. 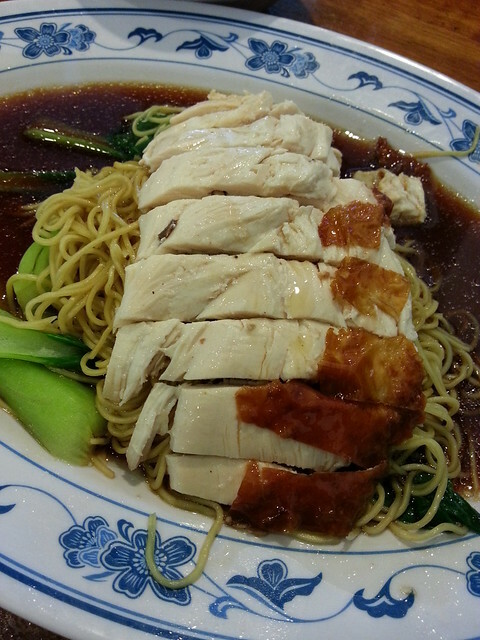 I tried their Roasted Chicken Noodle ($5.20) too and it was alright. I like any noodle that’s made of these springy egg noodle. A Must-have for me is the Super Cooler!!! 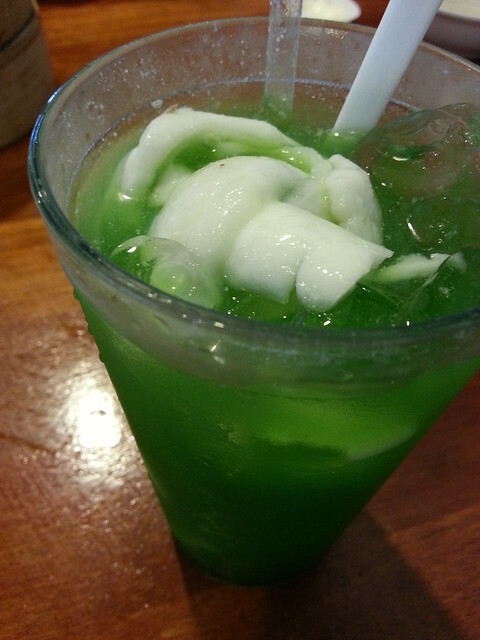 Love this drink, though its just simple coconut juice with wheatgrass syrup and coconut fresh. But I love it! As the name suggests, its cooling and thirst quenching! Not cheap though at $3.80 per glass, and doesn’t help I usually require two glasses per visit. We are surely going back to Jalan Kayu often now that they have more than just indian food and pratas! We can have Dim Sum too! Yeah! Previous Previous post: Loving OCBC Bank more and more! Hey, I just randomly stumbled by your blog. I just moved to Singapore recently and have been looking for a good dim sum place to go to! This one looks good, especially those salted egg buns! Hi Claudia. I was excited when I came across your blog. Been forever since I searched for Halal Dim Sum. Its not good…. the chicken wing is burnt. The beehoon tasted weird… sigh. So sad. The barley drink is too sweet. Not so good. The chicken wing is burnt. The beehoon taste weird.. am going to leave my review in hungrygowhere and my own blog soon. Sigh. Hard to find good food in sengkang area. Go to the real HK tim sum joint….there many choices of those here, this you can avoid! I was a huge fan and used to eat fortnightly, spendong $60 over in a single visit but since Apr 2013 I stopped because the quality of the dim sum has dropped tremendously. They probably had a change of chefs. I was left heartbroken. Back then, I was very confident in recommending this place to my friends. Once, a friend recommended to try the slightly cheaper dim sum joint across the road at Simpang Bedok but it was so bad that I go back to this place and order the same food and ate another round because I felt that my tastebuds deserved justice. But…. this was during its hey-days.